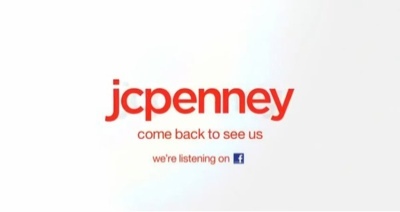 J.C. Penney Wants You Back.... For Now at Least! If you're like most savvy shoppers J.C.Penney has long been a trusted name when it comes to children's clothing, housewares and those signature JCP towels. In recent years the retail landscape has changed when it comes to fashion. Department stores are realizing the power of style conscious consumers and have taken steps to get in on the specialty retail game. Penney's made a few changes along the way and even sent their CEO Mike Ullman packing in the process. The retailer was seeking a fresh new approach to shopping but alienated their faithful customers along the way. With just 17 months on the job, the new CEO Ron Johnson was replaced with the ousted CEO Mike Ullman. Following me yet? But we'll be watching! Oh yes, we'll be watching.